Texas summers are some of the hottest days of the year, so finding things to do can be tricky if you don't want to sweat like a sinner in church. So I've come up with a couple of things I want to do this summer, some are indoors activities and others we will be braving the heat. 1. Take William to the beach. Either Galveston or Corpus Cristi. 2. Go to Moody Gardens in Galveston. 4. Take William to the Houston Aquarium. We already went to the zoo with my brother and nephew, and he had a blast. 5. Try and finish most of my quilting and sewing WIPs. 6. Go see the Jonas Brothers with my sister and my mom. Totally already bought tickets for their show on August 7th! 7. Go to a Houston Astros baseball game. They might lose all the time, but baseball games are still a lot of fun. 8. Take William to the Houston Children's Museum. My brother and sister-in-law take Jack all the time so I really want to take William. 9. 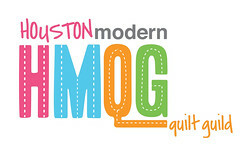 Join the Houston Modern Quilt Guild. I've missed the past 2 meetings so I really hope I can make it to the July meeting. Since the summer is only half over, I don't think I'll have any problem checking these things off :) What are you must do things this summer? So jealous you are going to a Jonas Bros concert! That's going to be amazing! I graduated from TState, and I'm SO jealous that you get to go float the river. Best 3 1/2 years of my life! Sounds like a good list! Yah Texas! Yes, join the HMQG! I won't be at the July meeting... See you in August?